This is just a short post – But the built-in utility you get with the backupConfig script is worth looking into for everybody! if you have worked with WebSphere for any significant time you have come across the built-in backup and restore utility that each WebSphere server has by default: [backupconfig.bat] or on Unix/Linux [backupconfig.sh] and the corresponding restore scripts [restoreConfig.bat] and [restoreConfig.sh]. At my current client we are working on application customizations and testing them on new servers. This is where the backupConfig comes in handy as it does not just back-up your application server(s) but the deployment manager and all the node(s) configuration as well – so you can replay a whole server configuration along with the installed applications and any application specific configuration. backupConfig can also be used to migrate servers from one piece of hardware to another (or VM server or, …. any combination is possible). Whenever I am about to install a new application, install any fixes or make configuration changes to a WebSphere server I run the backupConfig script once first and keep a copy of the zip file it created on a local machine – just to be safe. Depending on your architecture you can run it on the Deployment Manager and/or all nodes. When you run it on the Deployment manager it will grab all the configuration for the Dmgr, nodes and application servers in one go. This is essential if you have to restore an environment. On a managed node (separate HW) it will capture the configuration and applications installed on that physical node – so you might need to run it on each physical WebSphere server in your environment once to get a total base back-up. Once I have that I usually just run the scripts on the deployment manager as most of the work happens there anyway and all changes are synchronized out to the nodes. On windows it is simple – just run the restoreConfig script and tell it which zip file to use … and presto. On Unix/Linux you have to think a bit more. The backupConfig script does not keep any file rights or ownership information, when restoring it basically sets the file ownership to the account being used to run the script – so make sure you are using the same account and have read/write rights to the folders involved. 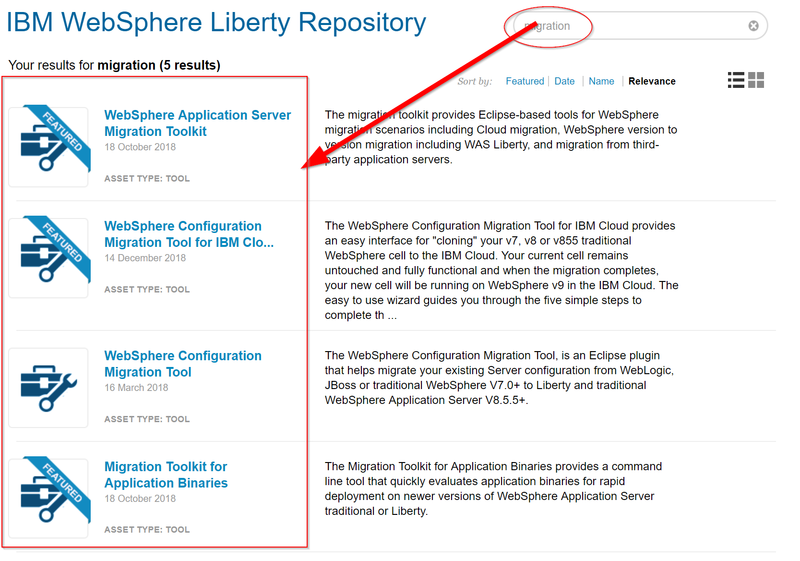 Here is the link to the documentation in the WebSphere Infocenter – I hope you find it useful and make a back-up of your servers soon! I read this post early this morning in the train on my way to work. HIGH TIME Andy and Rob did this! Both Andy and Rob are well known in the Lotus/IBM community for their expertiese, experience, vision and skill. I think with this new offering Technotics is hitting the nerve of the Shakespearian question many clients face: “To go, or not to go.” What I particularly like is that they preface the whole process with a fact finding session/process that first tries to answer the more important queestion: namely where to actually go to (= the goal, the required outcome, the Nirvana destination). Otherwise the experience would be akin to trying to go on vacation without determining where to go before you leave and trying to get all the reservations done on the way to the airport – and changing the departure airport you have to get to while you are sitting in the car. If you are a company looking for assistance – go talk to Andy. If you are a tech guy/girl who was aproached by a client – send them to Andy and Rob, you will be pleased with the outcome. Full Disclosure: no rodents (virtual or real) where harmed in the course of this blog post and I am NOT involved in Technotics in any way – (hint, hint, hint) . . . I would like to bring your attention to the SPR# RMAA88UAGF – server crashes when clients synchronize unread marks on Domino 8.5.2 servers. I ran into this last week when we had some unexplainable server crashes for apparently no good reason – one of them happened when I was showing a help desk tech how to synchronize unread marks between replicas from the client. I investigated and the crash report that Domino gave me pointed me right to this error – now fixed in FP1. It is a regression bug and is not fixed in either of the previous hot fixes for the Domino 8.5.2 code stream. I had servers with both the SMTP patch and the interim fix (IF) as well – they all crashed at one time or another. I installed HF 1 on all servers and now they are safe from this issue – I tested it on all of them just to be on the safe side. If you don’t have HF 1 installed yet – do it soon, this one can happen at anytime during the day and there is no warning whatsoever. only a big “boom” when the server disappears from the face of the (electronic) earth. Incidentally, there are allot of other problems that are fixed in that HF as well – I suggest you look into it right away and consider upgrading all your Domino 8.5.2 servers soon. This one comes courtesy of Volker Weber. I read one of his tweets about this and searched the web and came up with zilch – I contacted him and it seems it was announced interactively by RIM at an IBM function in Stuttgart that he (I assume) attended. Exciting news indeed!! Lets see what November brings. I am sure that there will be some official pres release by RIM soon – I can’t wait to ditch my current Small Business BES that is eternally stuck at 4.1.4 and upgrade/migrate to the Express version.